Help with Fears and Phobias at Hypnotherapy Swansea. Fear is a very natural human emotion. We all experience it at some point in our lives. Fear at a manageable level can be a very useful resource to have, because it helps us to act in ways that could otherwise be detrimental to our health or safety. Fear is our built in protection mechanism. We all need to have it at some level. The interesting thing about fear is that it affects people in different ways. Even in the same circumstances. Take a plane for example. Some people sit on the plane relaxed and enjoying the journey, some people are a little apprehensive, some are terrified and others are so frightened they won’t even get on the plane. Yet in all these circumstances the only constant is the plane. It’s the same plane for everyone. It follows therefore, that it is not the plane that is frightening, it’s just the meaning the person puts on the plane that is frightening. Fear in most cases isn’t real, it’s just a projection of the imagination, of what might happen. At higher levels, this fear becomes a phobia. Fears and phobias can limit people and restrict them from doing the things they would otherwise enjoy or would benefit from. Fears and Phobias take many, many forms. Among the more common ones are public speaking, social phobias, phobia of spiders, Phobia of snakes, interview or exam nerves, open spaces, dentist, needles, phobia of driving, spiders, flying phobia, heights, animals, fear of hospitals and becoming ill. But the scope of fear is far more than that. Some people are afraid of their own shirt buttons, or door knobs, or anything for that matter. The good news is that fear is not a physical thing and in most cases is not real. It is mainly the product of the imagination. There are varying degrees of fear and because of that it means it is possible to lessen or control it. Fears and phobias are conditioned or learned responses to a set of stimuli. Hypnotherapy and NLP are used to help a person re-code the way they respond to a thought or stimuli in a much more positive and resourceful way. I have helped hundreds of clients with different forms of fear or phobic reaction. 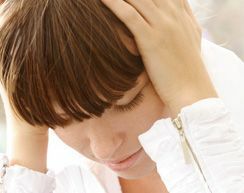 Very often there is a significant impact after one or two sessions of hypnotherapy. The feedback I have received over the years has been excellent. There is nothing more rewarding for me as a hypnotherapist than to help people overcome a fear or a phobia, knowing that in a very positive way the results have enriched their lives. Please call me today to discuss your requirements and to book an appointment.